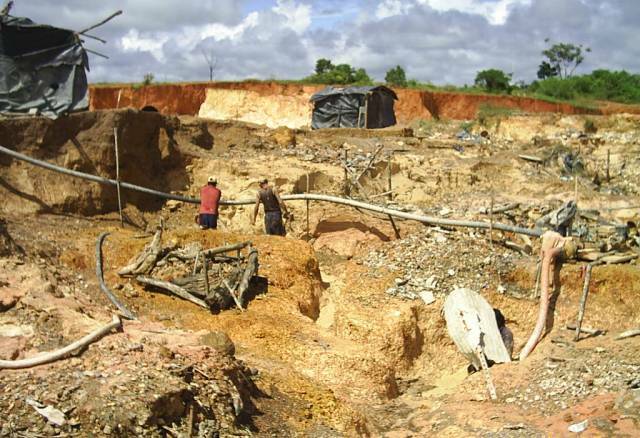 Illegal mining is helping Sifontes Municipality (Bolivar State) to become “ground zero” for malaria. Since we reported about it back in June, the return of malaria (a disease that Venezuela had erradicated) has now reached a historical high. The latest official numbers from the Health Ministry show 56,291 cases of malaria have reported so far in 2013, a number unseen in the last 70 years. An NGO has hinted that the final number for this year could end north of 70,000. Almost all cases are concentrated in Sifontes Municipality, deep in Bolívar State. A recent report from El Nacional’s Maolis Castro offered some alarming data about how bad the situation is down there: out of Sifontes’s 40,070 inhabitants, 35,087 have had malaria – 63% of the national total. One aspect triggering the surge of malaria is the presence of illegal mining and the constant movement of diggers who come and go from there, which makes the monitoring and control of the disease very difficult. Eight out of ten cases in the municipality are diagnosed in the mines.